Making Sunday biscuits? If you're following the classic Bakewell Cream recipe, here's a quick high altitude tip. baking soda by 20%. No soapy taste! 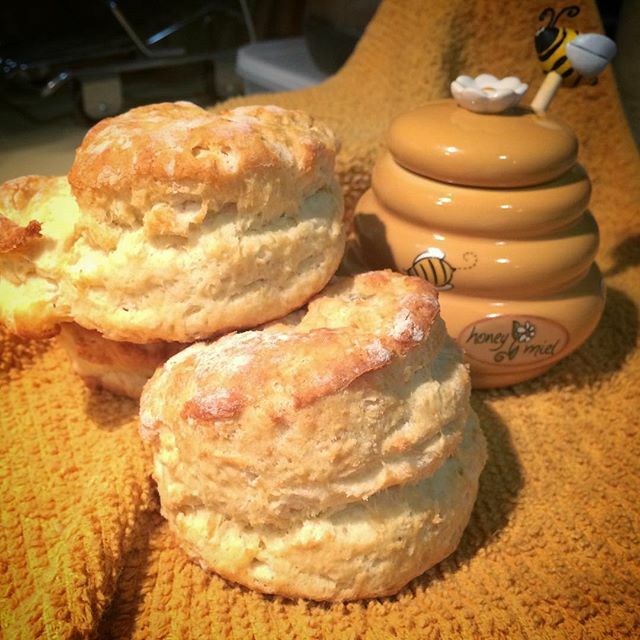 Serve w/fresh butter and #Honey. Baking, like beekeeping, is a regional art. Sure you can practice it in another region; you just need to make adjustments. If you're a New England transplant living in the Mile High City, or just enjoy really tall, light biscuits, get your Bakewell Cream from King Arthur Flour. They're the best! Yum, those look good. Thanks for the high altitude tip. Now I just have to find some bakewell cream! I don't think I've ever seen it locally @Don. I buy mine from King Arthur Flour. I added a link to the post.